Caleb McLelland is pictured here at age 3 as "Bob the Builder" in a "Backhoe/Scoop truck" wheelchair costume designed by his mother Cassie McLelland for Halloween 2008. A creative mother from Mansfield, Tex., has been making Halloween costumes for wheelchairs including "MarioKart," "Batmobile" and "Ice Princess Carriage" as a way to empower kids with Spina bifida and other similar conditions. The inspiration for the cardboard costumes came to Cassie McLelland in 2008, when her son Caleb McLelland -- who has Spina bifida, a birth defect in which the spinal cord fails to develop properly -- was two years old and got his first wheelchair, she said. "Halloween was nearing at the time, and I thought 'Well, how can we incorporate his wheels into a costume?'" McLelland told ABC News. "He was really into 'Bob the Builder' at the time, so I did some sketching, cut and painted some cardboard and made him a backhoe scoop truck and dressed him up as Bob. I've been doing it ever since." McLelland said that the costumes "attract people to the wheelchairs" and instead of rudely staring, "kids will come up to Caleb to ask him about it and tell him they love it." 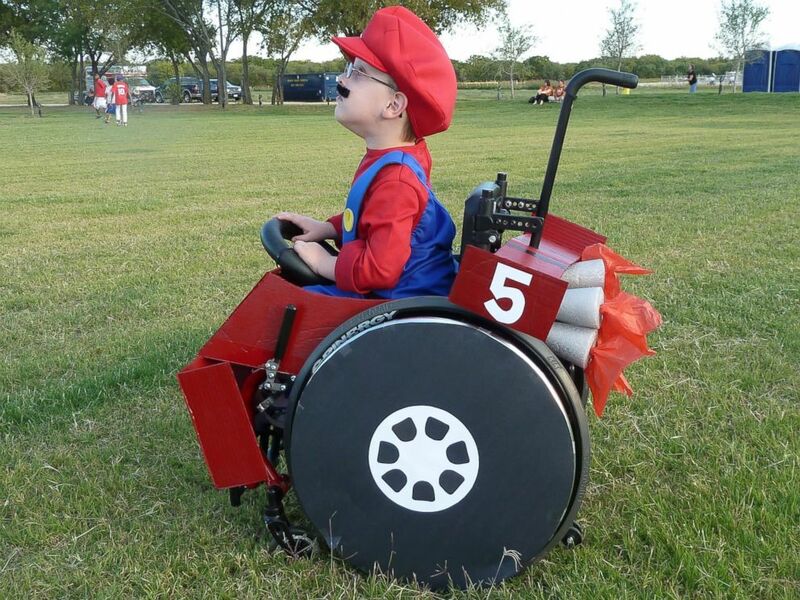 Caleb McLelland is pictured here at age 5 as Mario in a "MarioKart" wheelchair designed by his mother Cassie McLelland for Halloween 2010. She added that Caleb, who is now 10, "loves the attention" and has gotten more involved in the design and creation process as he's gotten older. 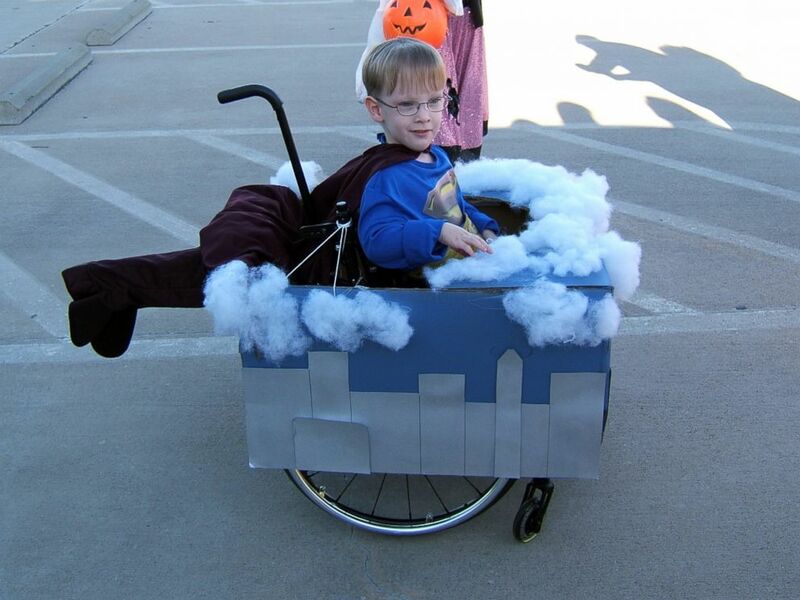 Caleb McLelland is pictured here at age 4 as "Superman flying through the clouds" in a wheelchair costume designed by his mother Cassie McLelland for Halloween 2009. "Caleb and his wheelchair costumes have gotten a great deal of attention in the past few years, and it's a great coincidence because Halloween and October also fall on Spina bifida awareness month," McLelland said. "We try to use the attention as a platform and opportunity to share our story and teach people about SpinabBifida." 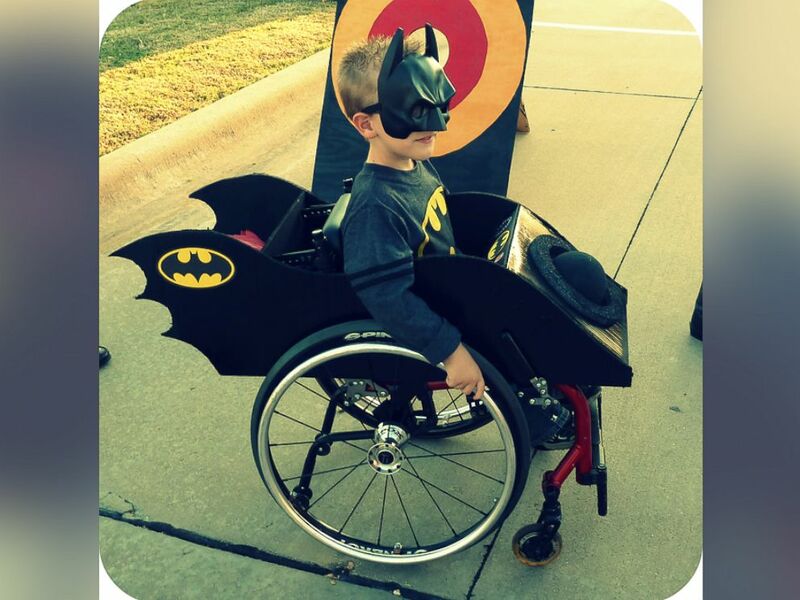 Caleb McLelland is pictured here at age 6 as Batman in a "Batmobile" wheelchair designed by his mother Cassie McLelland for Halloween 2011. McLelland also runs a "Wheelchair Costumes" blog, where she shares simple instructions for parents interested in making costumes themselves. 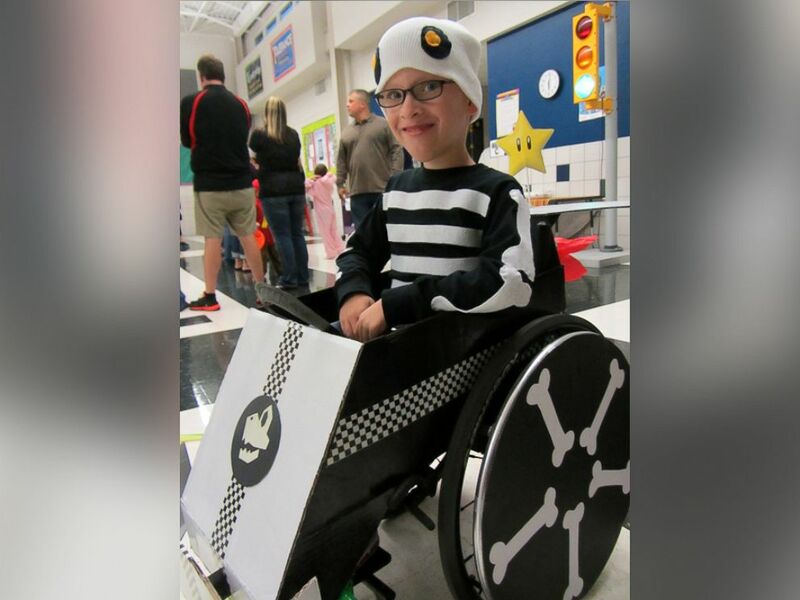 Caleb McLelland is pictured here at age 7 as Dry Bones in a "MarioKart" wheelchair designed by his mother Cassie McLelland for Halloween 2012. "It's really not terribly complicated at all to make these costumes," McLelland said. "I started the blog because so many people wanted to know how they were made. I also share other creations and instructions from other parents all over who've started making these costumes." 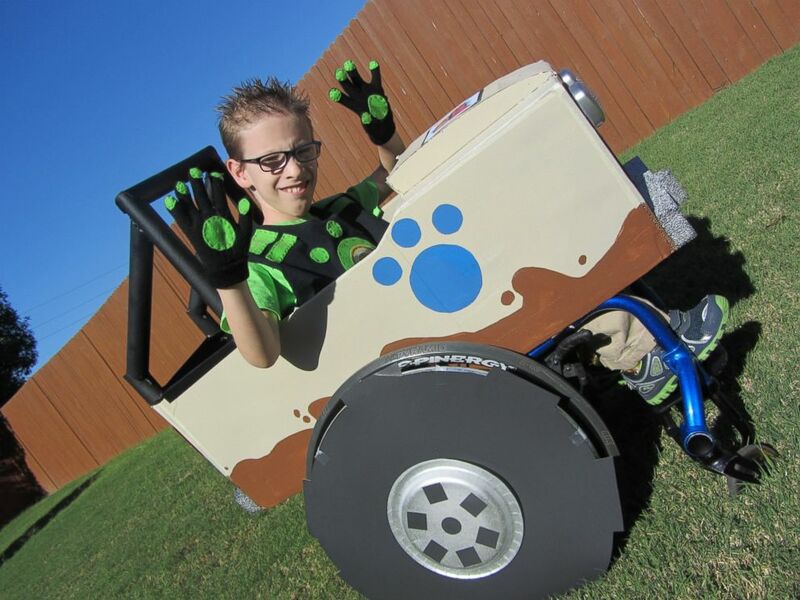 Caleb McLelland is pictured here at age 9 as a Kratt "Brother" driving a "Createrra" wheelchair designed by his mother Cassie McLelland for Halloween 2014. But for not-so-crafty parents, ready-made kits are available on McLelland's Etsy shop.